Bows are the perfect adornments for every celebration. With the right color, the right size, and the right texture, bows can go from just another accessory to the center spotlight. The velvety smooth texture of this bow adds a classy touch that pairs well with red carpet events. Even as a single ornament, the bow produces an awe-inspiring effect that makes it work well by itself. This bold, rich color paired with the smooth velvet fabric is a star quality combination that very few can compare to. Because of the largeness of these bows, a magnet is placed on the back to help support its weight deeming it very useful when used to showcase a brand new car, for example. 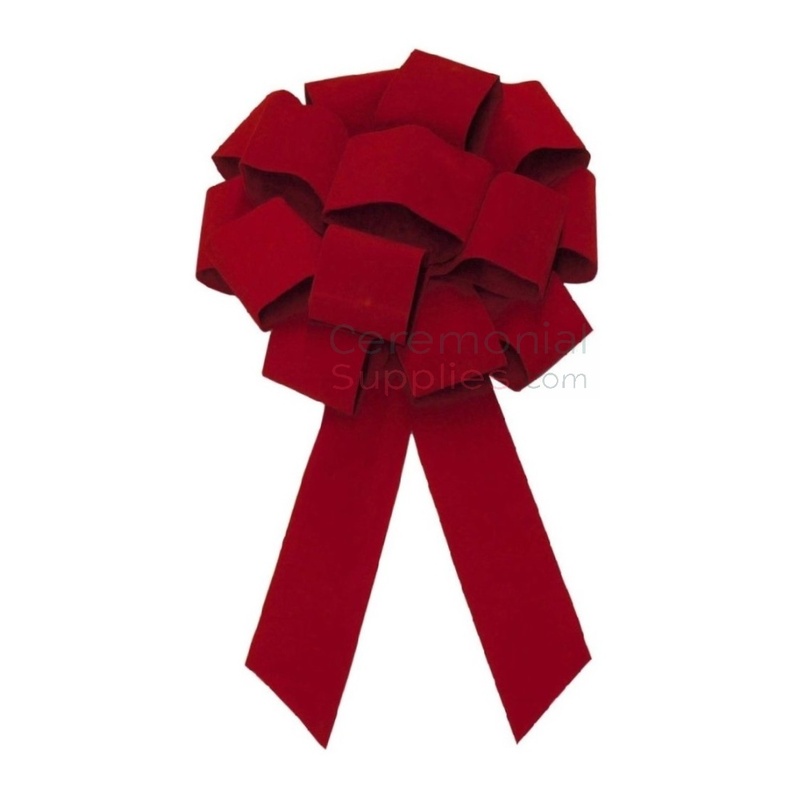 These ceremonial bows complements our ceremonial red velvet grand opening ribbon, a great option for a grand opening ceremony.